﻿ Thanyalak@The Gallery Condominium, Pattaya - SAVE ON AGODA! "A new condo with enogh room inside for two people and upstai..."
Have a question for Thanyalak@The Gallery Condominium? 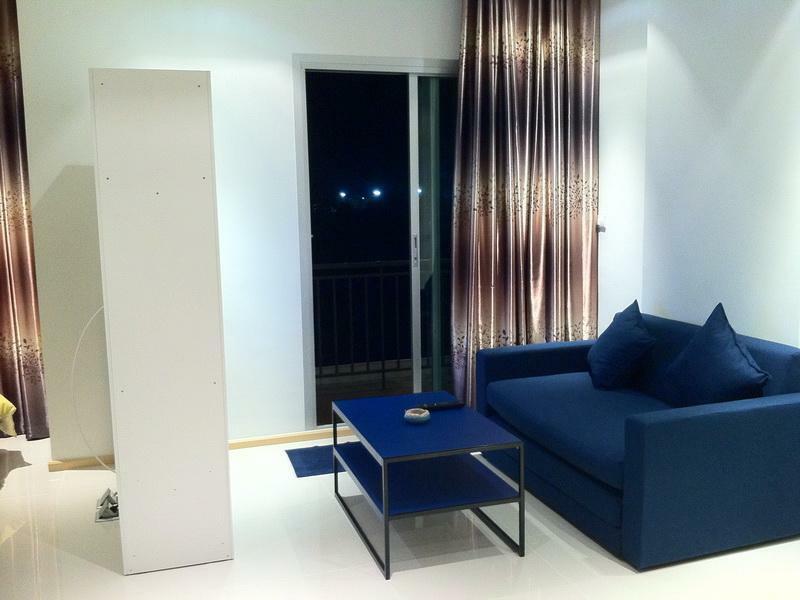 Complete your holiday plans and stay at this two-bedroom apartment in Jomtien Beach, Pattaya. The apartment has two bedrooms and nine floors. The rooms here overlook the city for stunning views of Pattaya. The apartment is near landmarks and attractions such as Vicha Eak Cooking School, Dongtan Beach, Thepprasit Road Nightmarket, Jack and Dave, and Pattaya Kart Speedway. From daily housekeeping to laundry services, it has a range of useful and convenient services, ensuring that you get the most out of your time in Jomtien Beach. With Thai, American, and European restaurants in the area, you can enjoy different savory cuisines during your vacation. With safety deposit boxes and a smoking area, the apartment provides various convenient features to make your stay more comfortable. It provides free Wi-Fi in all rooms, as well as Wi-Fi in common areas, enabling you to easily stay connected to your friends and family back home without splurging on data and roaming costs. It has air conditioning, a microwave, a shower, and a refrigerator, as well as a desk, satellite or cable channels, a kitchenette, and a seating area. Featuring a fitness center, a spa, an outdoor swimming pool, and a sauna, the apartment has everything you will want to make your stay as comfortable as can be. It offers check-in from 02:00 PM until 08:00 PM and check-out from 08:00 AM until 12:00 PM. Pattaya Railway Station is 6.5 km away and Bus Terminal is 6.8 km away. The nearest airports are Utapao International Airport (UTP) and Suvarnabhumi International Airport (BKK), which are situated 27.1 km and 89.3 km away. Please note that in case guests lose the key card, guests will have to pay 500 THB. Reception is open from 02:00 PM to 11:00 PM. Guests arriving outside these hours are requested to contact the property directly prior to arrival so alternative arrangements can be made. Good for family to travel long time. I'm not impress in service especially when checked out,the owner came to checked everything in her room before i checked out. She threw out the blanket to my friend 's face. She sit at that bed. She was very angry. It is not professional service and room. This is rather an apartment than a hotel. The owner has only this one room. The building is new and all the neighbours just start their decoration works. So expect to have a noisy and dusty environment. The room itself is inhabited by ants. So expect to chase them throughout the room. Guess there are more and better choices in Jomtien. And anyway who sleeps in Pattaya?